When you do a Google Search and you see the results populate at the top of the page with the map, star ratings, address, phone number, and reviews — this is Local SEO. Google will put your business or organization on the map based on your geo-location and search terms. Local SEO has the potential to be the very first result on Google and can make a big difference when it comes to bringing new leads into your business! The old strategy was to simply be seen on search engines. Now, you want your business to be found locally. Promote your business to local Cincinnati customers at exactly the time they’re looking for your type of business. 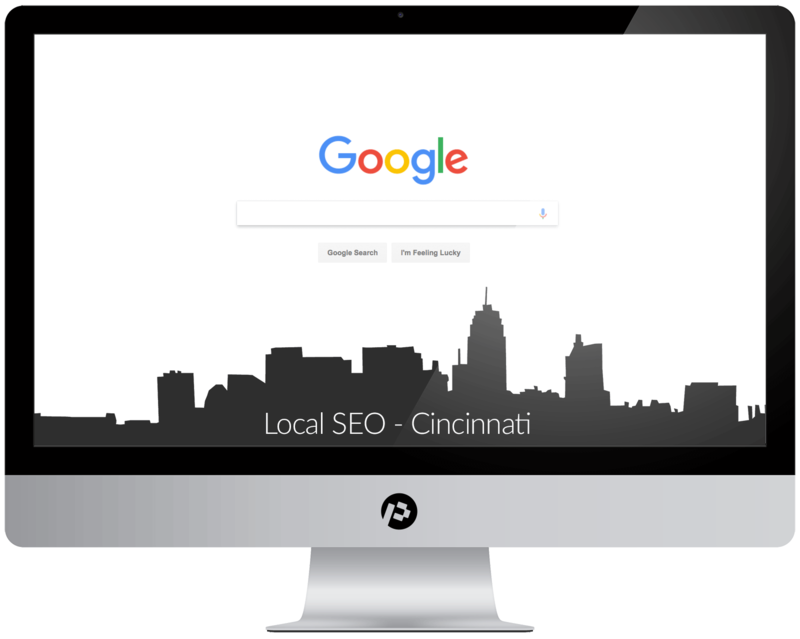 Our Cincinnati Local SEO Strategy will put you on Google and business directories such as Yelp, Superpages, Qype, and Touch Local. If customers need to find your storefront or business location, it’s imperative that you have a Local SEO Strategy in place!